Room size: Irregularly shaped 9.5 x 9.5m open floor plan combines the living/listening room, kitchen and office. Added to this space the speakers see the air volume of the entry hall and a long corridor plus the 2nd-storey 6 x 9.5m loft. Wood-panel ceiling slopes up to the loft. Parquet flooring. Lots of non-parallel surfaces ('vertical gable' windows, twin-angle ceiling, spiral staircase enclosure, fireplace enclosure). The emailer was Wei Chang of Southern Cali's EnigmAcoustics. "On behalf of our team I want to thank you for your invaluable guidance and outstanding assistance this past year in promoting our groundbreaking Sopranino super tweeter. We're currently establishing partnerships with Germany and Austria-based high-end audio dealers and distributors in preparation for our much anticipated official product debut across the Atlantic at the 2014 High End in Munich. What you wrote in the conclusion of your lengthy review is absolutely just. 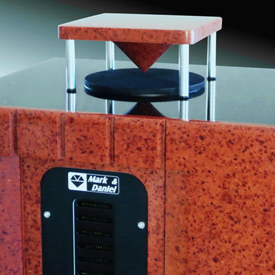 We realize our super tweeter isn't going to fit every setup and system—though the successful rate has been relatively high—but under the proper conditions we strongly believe Sopranino is by far the most efficient economical way to enhance the listening pleasure of the most ardent audiophile. "In a nutshell Sopranino's magic is the transduction of reverberant energy found in the recording but not recovered and emitted by conventional speakers. Not only does Sopranino affect the character of the upper treble and reverberance but it also adds significant perceived dynamic range. 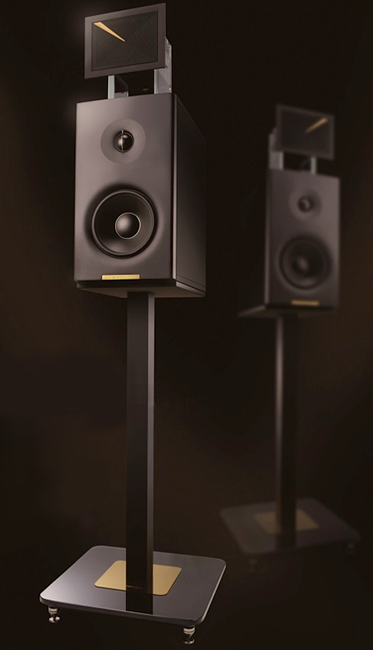 It affects much more of the frequency spectrum than any conventional tweeter since Sopranino packs almost 30 times the surface area when compared to a typical 1" dome tweeter. Because of Sopranino for the first time there is finally enough graceful information for audiophiles to rediscover their favorite music hour after hour. Once again thank you very much for your continued support and confidence. Please don't hesitate to inform us should you come across any speaker system in the future that you wouldn't want to pass up the opportunity to investigate Sopranino with. Frankly, we hope this will apply to all of your incoming speakers for the foreseeable future!" To my well-trained inner cynic, belly rub plus propaganda felt like a setup. And then it came. "We've had dealers who think the unique hybrid Mythology M1 has reached the level of Magico's Q1 at only 60% of the retail cost. The Abso!ute Sound has agreed to schedule a review by late January 2014. Please let me know if you're interested as well." The Magico/Absolute Sound connection was a natural. In the American press TAS after all were a huge fan of Alon Wolf's speakers. If Wei's dealers were correct and Magico's biggest advocate Jonathan Valin said so, it'd put the M1 squarely on the map. Having never reviewed a Magico—after my preview of their original Mini I never received the loaners—I'd not be able to comment. But the notion of an ultra-fi monitor appealed. With sufficient bass reach to meet an infrasonic true sub at 40-55Hz, a small speaker integrates far better into normal rooms. A subwoofer across essentially just the first octave makes superior more linear low bass than most any passive floorstander. Just as relevant in the real world, such a package should be more compact and easier on both eye and wallet. Of course here we're talking ambitious monitor, not value-priced box. How ambitious? Wilson and Magico promote dense cabinetry with phenolic resins and aluminum. Wilson champion ported bass, Magico sealed boxes. Audi and BMW. With ambitions to stir it up in these leagues, how about the M1? Its marketeers call it "the most refined compact loudspeaker ever conceived." On bass it sides with Wilson, hence a port. On 85dB sensitivity the M1 joins all small boxes of decent LF reach. Here that's a solid but far from spectacular 50Hz. Minimum impedance of 4Ω/47Hz suggests a quite friendly load. The crossover at 1'100Hz is a bit lower than most 2-ways. The driver complement is a 34mm/1.3" soft dome and 180mm/7" polypropylene woofer. 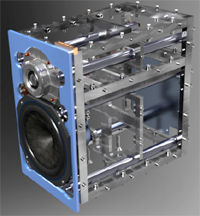 The coup de grâce is Engima's self-biased electrostatic super tweeter. Though one might wish for cabinet incorporation and a fully integrated look to eliminate extra wires as Mark & Daniel do for their ambient omni tweeter, Sopranino in its glass box sits atop with speaker cables hanging off. It acts as exactly the add-on it'd be on a Magico Q1, Wilson Duette 2 or any other flat-topped 'super' monitor like a Stenheim Alumine, Crystal Cable Arabesque Mini, Focal Diablo Utopia or Raidho C1.1. If you wondered why the M1 gets two tweeters (after all, full-range electrostats cover the entire audible range to not require even one dedicated tweeter), Enigma's patented self-biased ESL technology with permanently charged nano coating isn't powerful enough to handle midrange or even standard tweeter bandwidths. For now it's a one-trick pony applicable only to the top octave and above. So the M1 gets conventional tech for its main drivers, exotic monopole ESL for 10kHz-50kHz luster. Wei's email primed us on claimed Sopranino benefits. Our review adds my own thoughts. 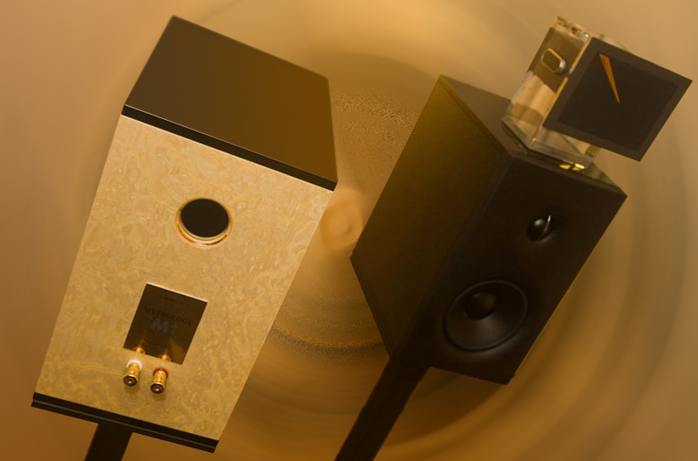 What else about 'most refined compact speaker ever'? Magico's Q1 dazzles us with a Beryllium tweeter, nano-treated Carbon-fibre woofer and heavily braced metal box. Beyond Sopranino, what does Enigma throw into this ring? A 33lb mechanically optimized 8.7 x 14.2 x 15.2" WxDxH laminated Birch ply cab with tempered glass top and bottom, thick aluminum baffle with minimum driver flares plus solid aluminum-pillar stands with tempered glass tops and plinths. As John Atkinson reported in his CES 2014 report, "there’s no low-pass filter on the tweeter—which is allowed to operate up to its natural limit—but there is a high-pass on the supertweeter. Crossover is 3rd-order on the tweeter but 2nd-order on the woofer." About the demo he thought that "driven by Ayre amplification with a Paradox DAC that was new to me, the M1s sounded a bit too rich on Ray Brown’s double bass on Oscar Peterson’s We Get Requests, but the midrange and high frequencies were superbly clean and detailed and the system overall threw a great sense of recorded space and ambience."